I used Papertrey's Super Stripes (and I had to use a Cuttlebug plate as an acrylic block, because those two purple stripes are pretty long!). The sentiment is a Michael's $1.50 stamp. ETA - decided to link this up to a challenge I don't think I've seen before - CAS (Colours and Sketch) where the challenge is rainbow. Hmm. May have to do another one! HOLY SMOKES!!!! I'm in love!!! This is awesome!!!!!!!!!! Is that enough exclamation marks for ya? My oh my...you are amazing! Each time I see something this perfectly stamped, I'm sure that it is washi tape or paper....no sireee bobcat....it's another fine example of your amazing stampin' ability! And knowing that this creation was a result of seeing a sign on a truck - WOW! You've done Laura proud! fantastic stamping, Ardyth! Brilliant!!! My head swims in the perfection of the stripes... !!!!! A total tribute to Laura Bassen. The plaid is awesome! What a fabulous (straight!) 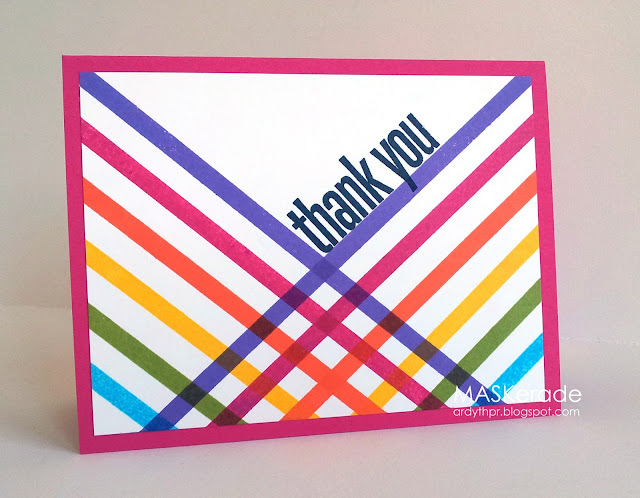 array of bold lines! And I love where you got your inspiration from, too. You kindly left a comment on my blog recently, and I had been inspired by something (I forget which thing!) and you agreed that you never know where the next bit of inspiration may come from. So true! Thank you for your visit, too. Oh I love plaid, and what could be better than rainbow plaid?! Awesome card! Thanks for playing along with CAS Colours & Sketches Challenge! Looks like Laura may have some competition in the plaid department! 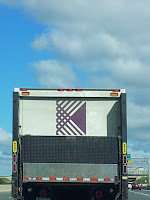 :D Awesome take on the truck logo and clever idea to use the Cuttlebug plate! Inspiration from the back of a truck! Love it! What fun card, Ardyth! Love the colors too! Love these stripes! Wouldn't this be fun to do with Washi tape? This is just fabulous--it is like you and Laura had a mind meld in the craftroom, and this stunner is the end result. Excellent channeling of the amazing Laura, Ardy!! I'm so happy you found Colours and Sketch. That challenge has your name all over it! You are the Queen of the graphic Rainbow CAS cards!! 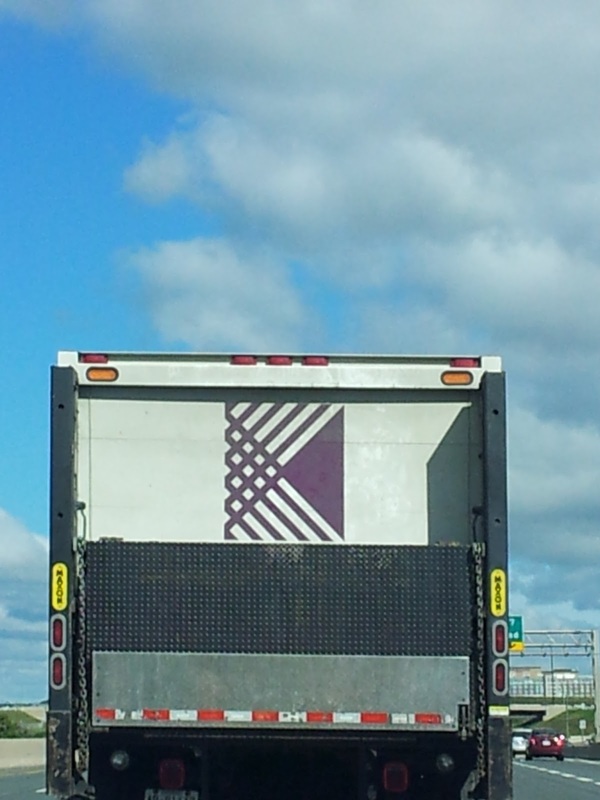 This is just amazing....so fabulous that you took your inspiration from the back of a truck. Love you card. Amazing card, Ardyth! I love the colors and how you created your plaid pattern...looks like Laura's impressed and 'in love' with your card, too! Great sentiment, too...what a bargain! That is a very cool card! And I love that your inspiration came from the highway. That's a reminder to us all to keep a sharp eye out!